Cultural Preservation, Environmental Stewardship, & Economic Livelihood Diversity are the cornerstones of JCFC sustainability. The Bolaven Plateau contains more than four different ethnic groups, chiefly the Jeru, Lao, Souay, and Khmu people. As such, there are a myriad of important cultural practices, belief systems, and heritage which is unique to each. This diversity is something which does not divide the communities, but weaves an ever more intricate pattern of humanity which adds to the beautiful complexity that is life. As such, and as the cooperative develops, it is of prime importance to ensure that each cultural aspect is in line with any changes that are proposed. Consequently, all of Jhai Coffee House and Filanthrope's coffee and development programs are tailored to respect the rights of each individual community's cultural heritage and the right of self-determination. Historically, the people of the Bolaven Plateau were predominantly known to practice animist beliefs. They believed the soil, plants, and animals had spirits which deserved to be protected. With the advent of cash cropping and industrialized agriculture, these beliefs were often secondary to the notion of development and progress. Only now are we rediscovering techniques and methodologies to produce coffee in a more ecologically sustainable way. 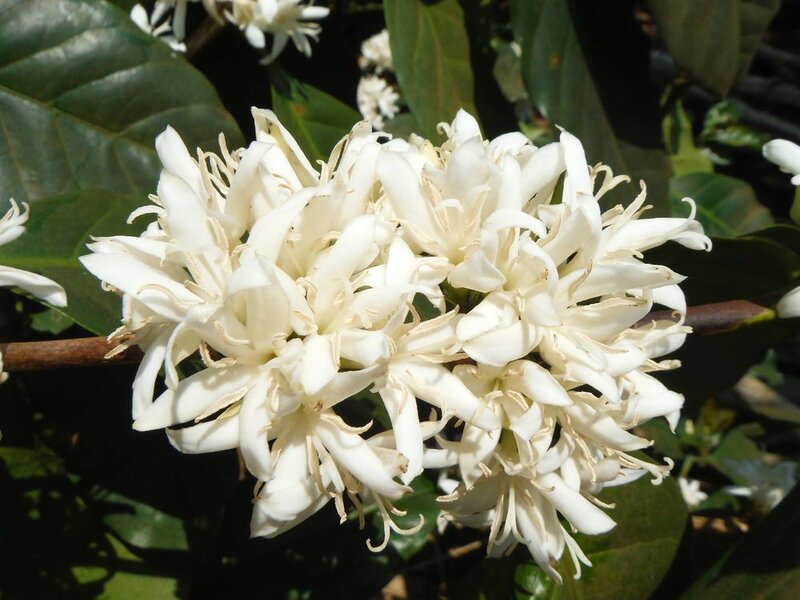 As such, the cooperative understands and desires to move forward with coffee production based on principles of harmony with the native forests and their land. These deeply held beliefs are at the forefront of the reason why Filanthrope and Jhai Coffee House are actively teaching and sharing techniques new and old which allow for coffee to be grown in reforested, no-waste, no-chemical methods. These efforts allow for coffee farms to preserve their native forests, create living soil, and provide better coffee, and more nutritious food to eat. Coffee is 95% of the income of coffee farming families. As the coffee harvest only occurs one time per year, this means that families must try to stretch out their income over the years. Not only is this a struggle for any family to manage, but the income from even the best of coffees is only enough to survive, not thrive. A common misconception is the the wastes from coffee production (i.e. coffee pulp, coffee wastewater, etc.) are just that: wastes. As a waste, it is only a cost to the environment and a cost to “get rid” of the waste. This is the wrong direction. All animal wastes are fed to a globally important insect, called Black Soldier Fly. This non-biting, non-disease carrying larva is more than 40% protein and is a natural antibiotic for animals which eat this insect. The larva also digest manure and produce compost in the same way as worms (vermicompost). It becomes COMPOST AND FEED. Overall, by utilizing the wastes of coffee production in a forest setting, families can drastically increase their resiliency and income. All wastes return in the form of animals for sale, fish and vegetables for domestic consumption, and organic composts for their land. In this system, rather than relying on a one time payment of potentially 5,000 USD/year from specialty coffee (average farm of 1 hectare), families will be able to earn 1,200 USD/month or more from their waste transformation in addition to the 5,000 USD/year from the coffee. This results in an annual income of more than 18,000 USD/year and receiving a monthly, not annual income. Economic stability involves spreading out income and cash-flow as well as increasing overall annual income with repeatable results. 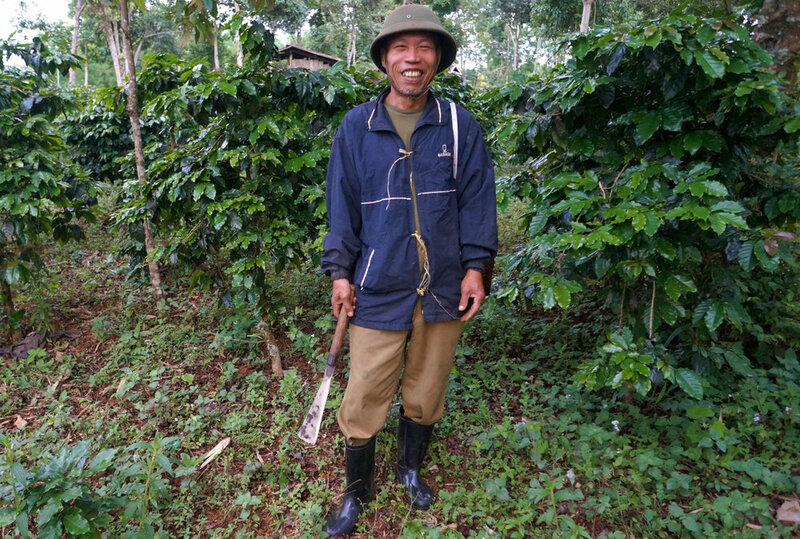 It is the hope of the cooperative that these systems will be shared beyond the cooperative, beyond coffee growing and into other crops, and beyond the borders of Laos. It is the hope to start a true, agro-ecological revolution.The revolutionary concept is that coffee growing families can earn more from their wastes than they can for their coffee.